MSRP: Starting at around $169,242 USD. 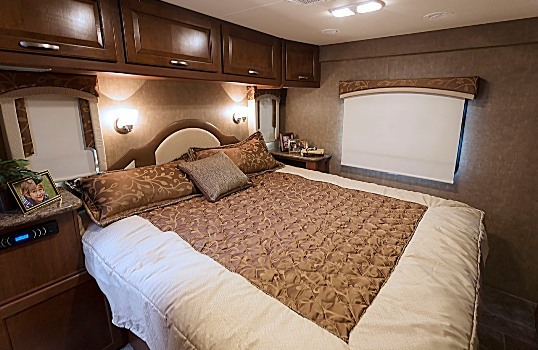 The 2015 Thor Chateau Super C 35SB Class C Motorhome is exactly as Thor states “Everything from a traditional Class C is made bigger with the same level of features and amenities found in a Class A motorhome”. 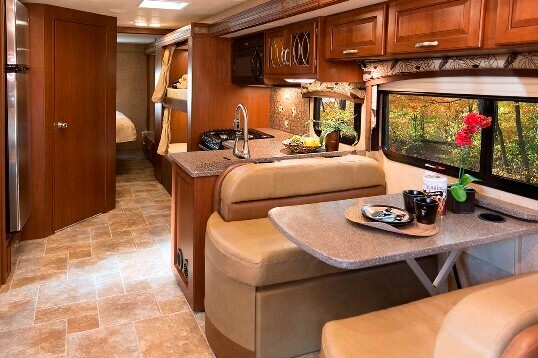 The 35SB floor plan has a wide-open look and feel, with plenty of seating for entertaining. 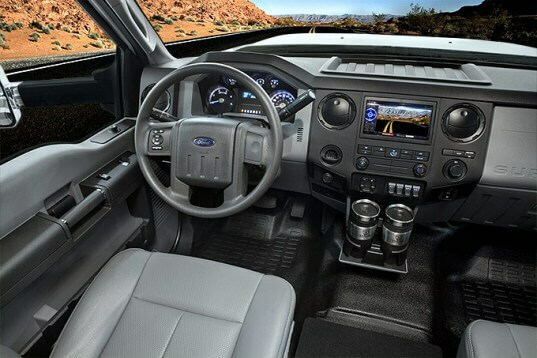 There is even an optional cab-over entertainment center with a massive 50-inch LED TV and sound bar. 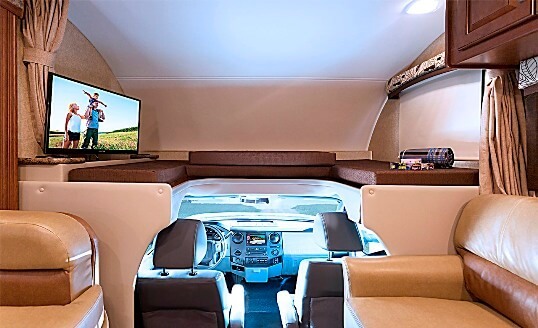 The roomy cab-over features a 54″ x 80″ bunk with privacy shades, an entertainment center with 32″ LED TV on a manual swivel and a DVD player. 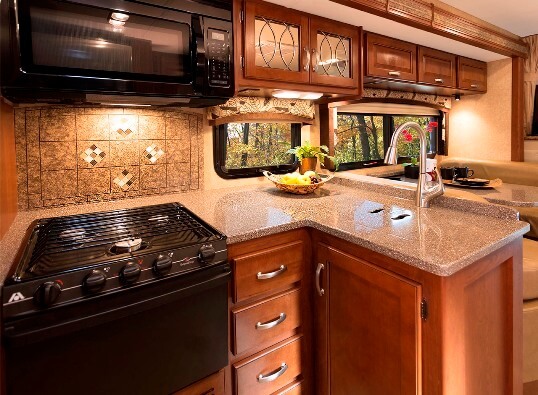 Whether your cooking on the 3-burner gas cooktop with oven, using the 30″ over-the-range microwave oven or getting food out of the 18 cu. ft. residential refrigerator, the L shaped kitchen puts everything at a convenient reach. It’s finished off with a solid surface kitchen countertop that contains a large double bowl kitchen sink with a single handle faucet & sprayer. 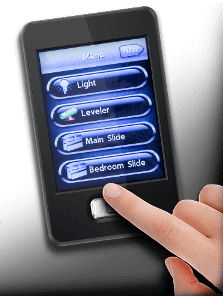 The bedroom has a luxurious feel with a Denver Mattress® king size bed offering you Best in Class sleeping comfort from those long days. 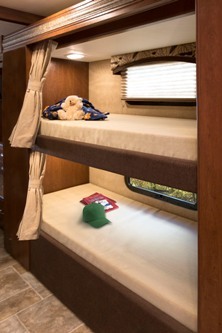 One fantastic feature are the 27″ x 71″ bunk beds that are part of the full driverside slide out. In addition, the bathroom has access from the bedroom and the main living area. 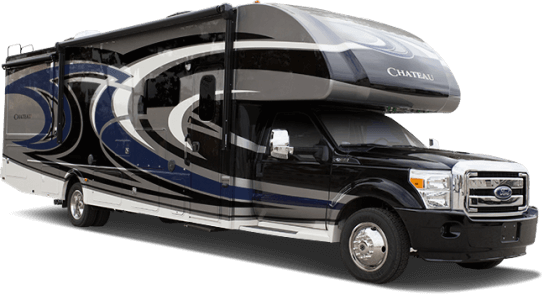 The Chateau Super C is exactly that…super.